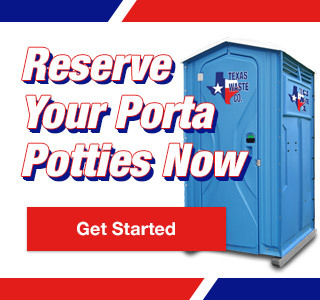 When appearance and presentation are top priority, Texas Waste Co. recommends the use of our restroom trailers. These facilities pair well with large groups and provide accommodations that are as close to home as a mobile sanitation unit gets. Luxury restroom trailers are perfect for weddings, family gatherings or other formal events that require high-end alternatives to indoor restrooms. Porcelain fixtures, private stalls and stylish décor create tasteful class that will keep your guests impressed. Job site restroom trailers provide a professional restroom alternative that meets the needs of construction sites, industrial plants and agricultural settings. They’re easy to relocate and provide upgraded features like flushing and built in wash stations for superior, all-in-one functionality.